On Tuesday evening, Governor Larry Hogan ordered Maryland flags to fly at half-staff to commemorate a local National Guardsman. 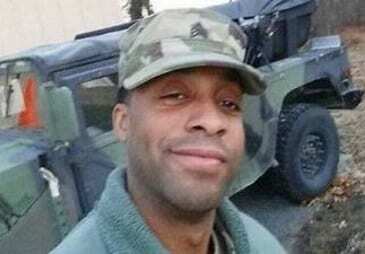 Sergeant Eddison Hermond disappeared on Sunday trying to rescue someone from the catastrophic flooding that wiped out historic Ellicott City for the second time in three years. Sgt. Eddison’s body was found in the Patapsco River on Tuesday, according to authorities. The flooding caused many local issues as well. One man had to be rescued off of Seven Courts Drive and several others had to be rescued at Gunpowder Falls State Park. The governor has declared a State of Emergency across Maryland.